Carpet Cleaning North Irvine on Same Day Notice. North Irvine has evolved over the years and combine an older part of Irvine with new construction. Many of you living in North Irvine have become over the years to be a part of our carpet cleaning family. We have noticed the need for same day carpet cleaning North Irvine Service. Therefore, we have assembled a team to take over the new area and attend to your carpet cleaning needs. 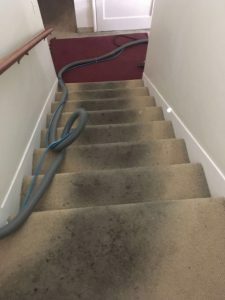 We provide deep carpet cleaning solutions by using a 5 step carpet cleaning system. In addition, we use green carpet cleaning products to give you the safest and best carpet cleaning results. Also, we offer same day upholstery cleaning, air duct cleaning and dryer vent cleaning services. More Than Just Carpet Cleaning North Irvine Services. 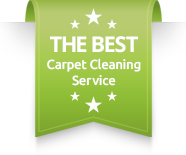 Carpet Cleaning North Irvine is definitely a major service that we offer around Irvine. However, quite often our local customers in Irvine would request another service to go with it. We also provide upholstery cleaning north Irvine and rug cleaning North Irvine. Moreover, we offer same day air duct cleaning North Irvine and tile and grout cleaning North Irvine.Our upholstery cleaning service in North Irvine includes all types of sofa cleaning, couch cleaning and sectional couch cleaning. In addition, we can clean kitchen chairs and recliners. All of our services are offered on same day notice and with available specials at that time around North Irvine. A Variety of Carpet Cleaning North Irvine Services. Contact us, Dr. Carpet Irvine, to hear more about our availability around Irvine and surrounding cities.More so, we can share that it is noticeable that our local North Irvine community has a special need from us for pet stain treatment, and most of that is requested for same day. Therefore, if your dog or cat had just had an accident on the carpet, call us. We have the best green carpet cleaning solutions that are safe for you and your pet. For More information about the various carpet cleaning North Irvine services, please contact us.